Triathlon training has been an integral part of this spring. 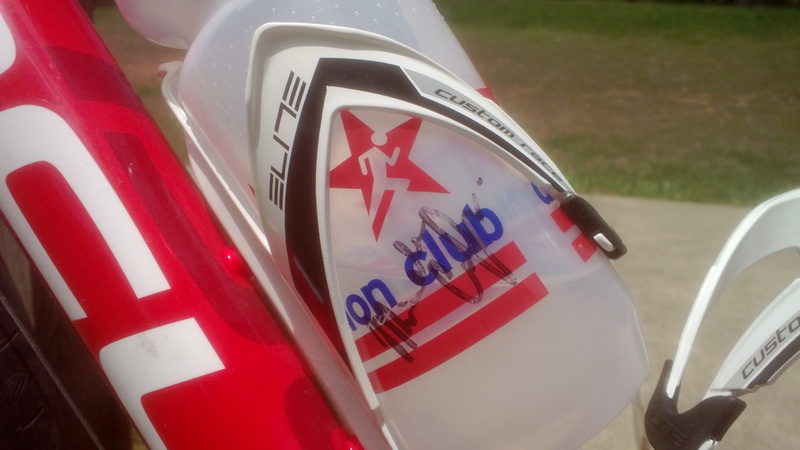 My 5-month-long Half Ironman training program with the DC Triathlon Club started in mid-February. The goal race is in mid-July. When I bumped into a friend at the pool in April, it was an easy job for her to get me excited about Peasantman. A friendly event at a nearby beautiful location during the first weekend of May was a perfect milestone half way towards the big day. And the laid-back reputation of the race reminded me of my first official triathlon at Kisko. Without thinking too much about what I was getting myself into, I signed up for the Olympic distance race: 1.5k swim, 35k bike, and 10k run. I had raced this distance only once before in Kuopio in the end of last summer. At the time, it still felt like a nearly petrifying challenge (although it turned out to be fun). Now it felt just natural. I guess that’s what happens when one accumulates enough American confidence on top of Finnish perseverance. We drove to Lake Anna already the day before the race to take the most out of the race weekend. It was my first visit to the Virginia countryside, and I loved every bit of it. It was quiet, it was green, and the weather was gorgeous on both days. 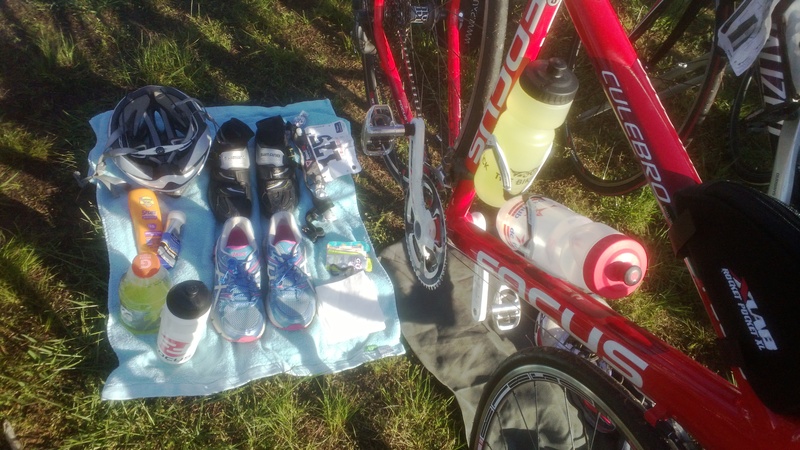 On Saturday we had a chance to attend a bike clinic and an open water swim clinic. This was the third time basic bike maintenance and fixing a flat were demonstrated to me during my Fulbright year, and each time I’ve learned a few new tricks. The open water swim clinic by Denis from WaveOne was excellent. I loved his philosophy of turning tricky weather conditions to one’s advantage. After his motivational speech it was time for the first open water swim of the season. Magically I managed to convince myself that the waves were just being playful, not threatening! The 10k run was by far the toughest part for me, mainly because it was so HOT. Well, for a Finn anyway… The temperature at Lake Anna rose to 28’C / 82’F in the shade, and there was almost no shade. If I had my way, I would always race in below 20’C / 70’F. I had to walk part of the second lap to keep my heart rate under control. After encountering a loose horse on the running course, I started to run again. (Edit on Jun 20: A reader suggested that I would clarify that there literally was a loose horse running around that had ran away from the nearby stables. Others saw it, too, I was not hallucinating.) Finally I completed the “run” in 1:09:22. My total time of 3:19:44 was only a few minutes slower than my time in Kuopio, so I’m super happy. Such a great start for the season! 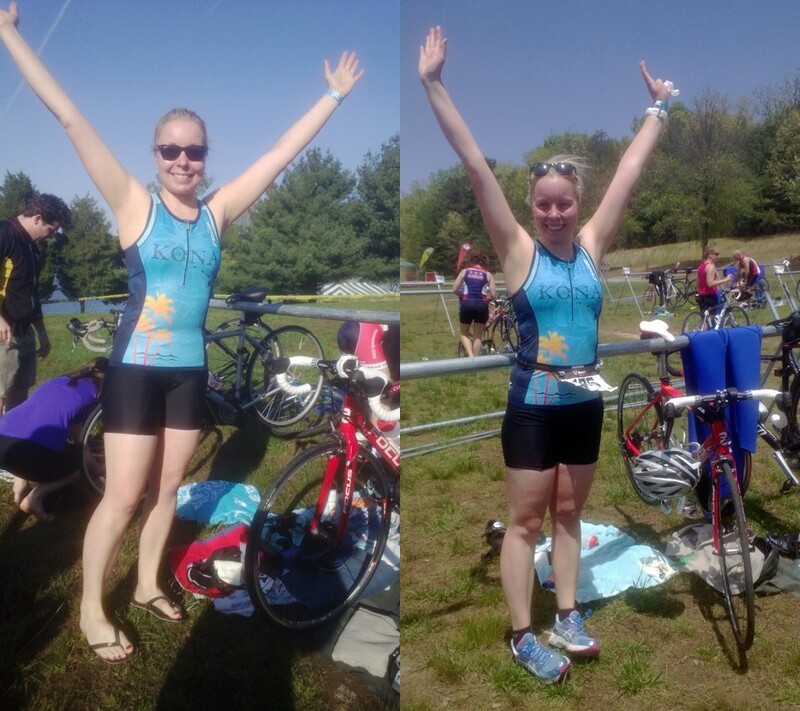 Making my debut in the American triathlon scene was not the only objective of my Fulbright year that I achieved in May. Thanks to Finnair miles that were about to expire, I also finally made it to Florida. I had been dreaming of a roadtrip along U.S.1 to Key West for years. Ever since I saw An Inconvenient Truth, a documentary on Al Gore’s campaign to fight global warming, I’ve also been painfully aware that the future of Florida Keys is all but rosy due to the rising sea level. It is amazing how much we saw and experienced during a 72-hour long mini-break. Already during the scenic drive from Miami to Key West we drove by a turtle hospital, saw tiny, cute key deer, and had a slice of key lime pie, a local delicacy. 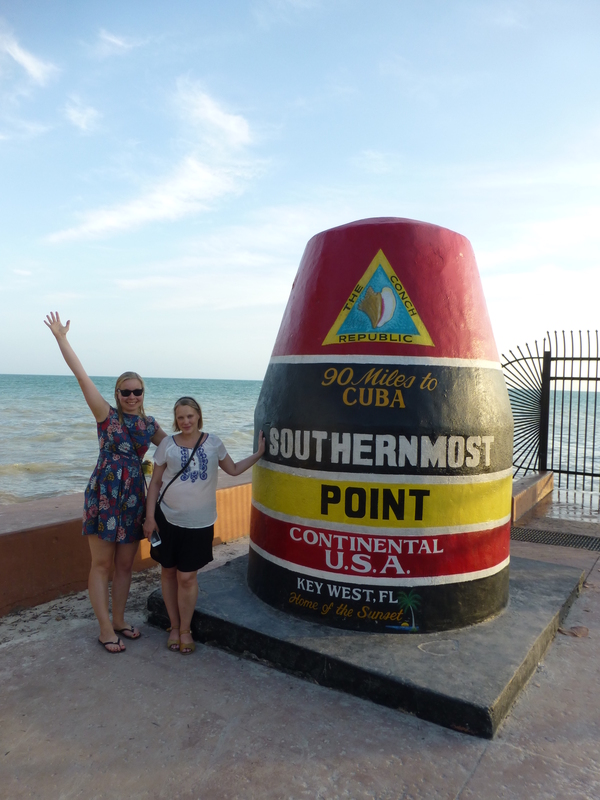 In Key West, we stayed in a lovely B&B worth recommending right by the southernmost point of the continental USA. (I actually visited the southernmost point of the entire country on Hawaii in October.) This part of the town is very nice and quiet, so very different from the loud and crazy epicenter of tourist traps in the other end of Duval Street. Another great find only a few blocks outside the tourist habitat was Azur, an excellent restaurant run by a guy who used to cook at the Italian Embassy in DC. 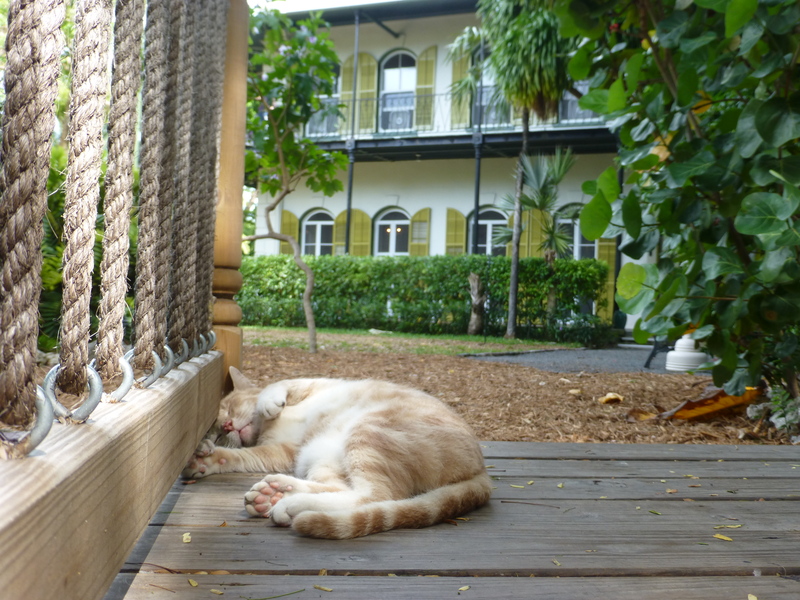 We visited the Hemingway Home (obviously) where the descendants of Hemingway’s six-toed cats stole the show and were definitely the most memorable part of the tour. We also went snorkeling (obviously). It was lovely to swim in the turquoise water and spot a few colorful fish here and there, but to be honest, the coral reef was quite a sad scene. More than 2 million tourists visit the reef each year, so no wonder it is suffering. After seeing the reef, it was also pretty obvious why the snorkeling tour operator advertised so heavily that an unlimited supply of beer, wine, margaritas or even rum was included in the price: to help people forget the damage they saw and contributed to… After snorkeling, we still checked out the somewhat surreal Butterfly & Nature Conservatory. 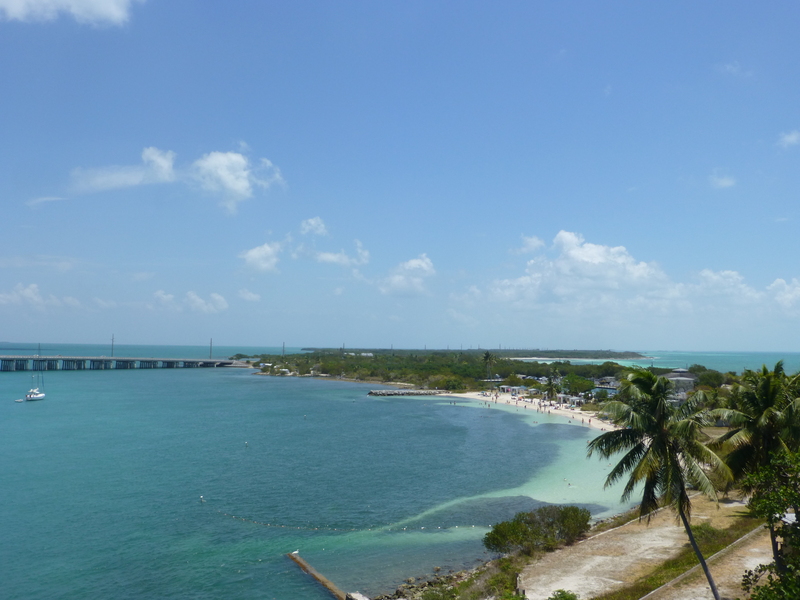 On the drive back to Miami, we had a couple of awesome pitstops: At Bahia Honda State Park our main activity was supposed to be sunbathing. I naturally got impatient in the heat after about 10-15 minutes and improvised a small open water swim practise instead. The stop at the Everglades National Park was a success as well. When approaching the park, the first thing that took me completely by surprise was a puma warning sign. I had no clue that there are felines in Everglades! Quick wikichecking revealed that there is indeed a small Florida panther population (<100) that lives in south Florida. We did not spot any of those rarities, though, but we did spot all kinds of birds and numerous alligators. 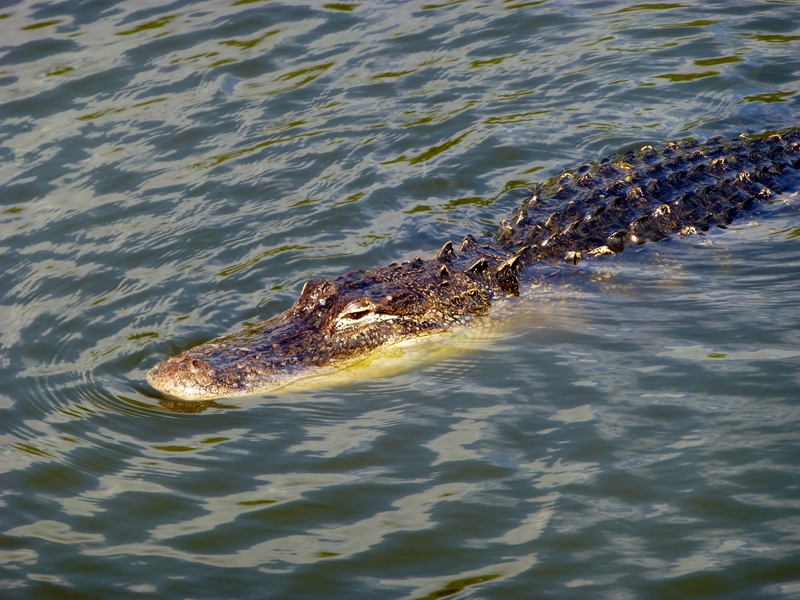 It was unbelievable to see alligators lurking in the water just a few meters away from the Anhinga trail. The last highlight of the trip was a yummy dinner at Michael’s in Miami Design District. Check out additional Florida photos on Flickr. Fulbright enrichment activities have made it to this blog several times. There is one more fantastic outing that simply cannot be omitted: A sailing trip on the Chesapeake Bay. 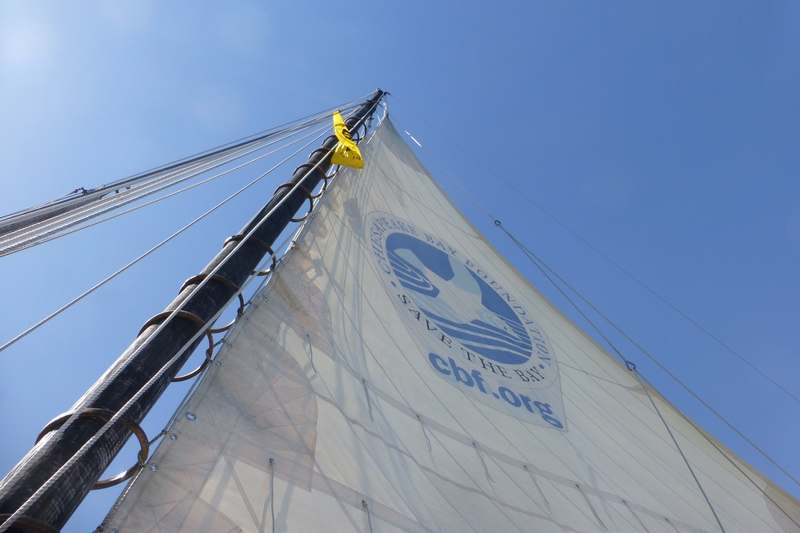 The trip was organized in cooperation with the Chesapeake Bay Foundation (CBF) on their skipjack called the Stanley Norman. The boat was built in Salisbury, Maryland in 1902. It was named after the original owner’s two sons, Stanley and Norman. We got on the vessel in Annapolis, a cute historical town that used to be the capital of the US for a short while in 1780s. 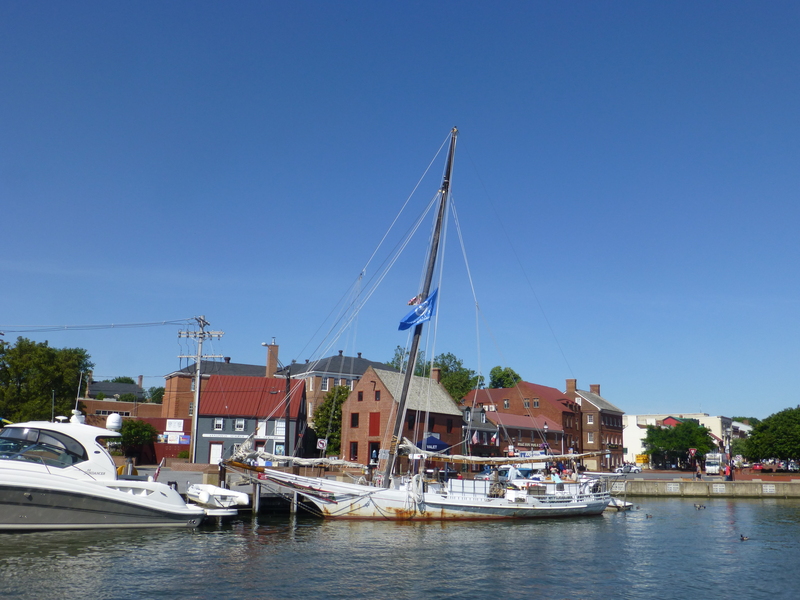 In many ways, Annapolis reminded me of my home town Porvoo, the second oldest city in Finland founded in 1346. The friendly CBF crew did a great job in educating us on the past and the presence of the Chesapeake Bay. Oyster dredging used to be huge on the Bay. Skipjacks, like the one we were on, are single-masted vessels designed to harvest oysters under sail. In the late 1880s, there were close to 1,000 of them. Now there are less than 20 left. During our trip, we had a small dredging demonstration to understand how it happens. In no time at all we had a pile of oysters on the deck. 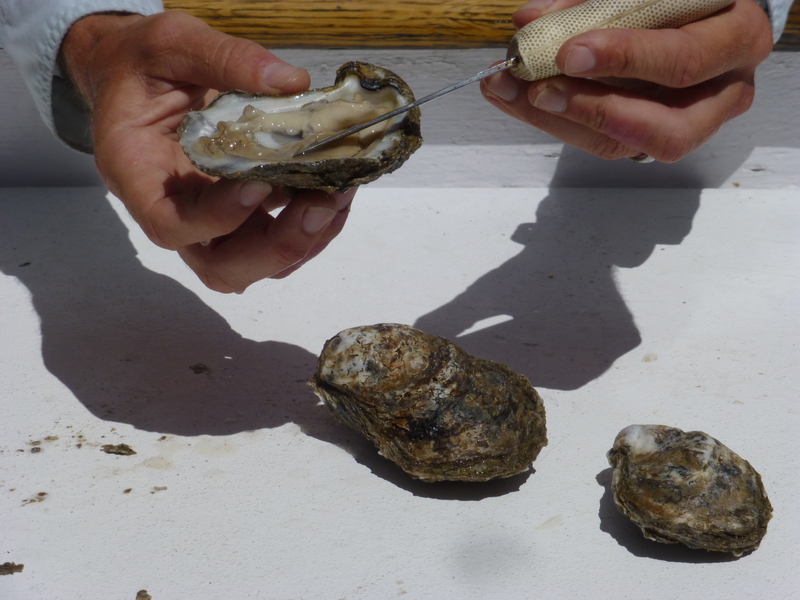 After having been introduced to the living conditions and biology of oysters, eating them will never be the same again. The main destination of our trip was a local seafood restaurant where we had a huge lunch, not oysters though (as they are not in season) but delicious crabcakes. Like I had suspected, the CBF crew took care of the actual sailing. For the rest of us this was a very relaxing day on the sea with lots of time to discuss and learn to know each other better. As always, the group was super international with participants from Armenia, Australia, Czech Republic, China, Finland, India, Japan, Pakistan, Russia, and the US. One thing that I noticed right away was how much everyone’s English skills had improved during the year. This helped to add depth into conversations, and that’s what I love. We were able to cover topics ranging from social finance and rehabilitation of child soldiers to environmental concerns and Muslim-Christian understanding. The sweetest thing was to see a 3-year-old Chinese girl chat with an Australian scholar in beautiful English. At the end of the trip it was time for the first farewells of my Fulbright year as this was the last Fulbright enrichment activity for me. Big thanks for the Fulbright organization and our awesome Fulbright Enrichment Coordinator for making all these wonderful events happen! PS. Some of you have already heard stories of another amazing adventure that I was a part of in late May. You may wonder why it is missing from this list. The simple explanation is that it deserves its own blog post and will be covered soon. Stay tuned!